Johanas Littel, John Le Litel, John Littel, John Little, Littel John, Little John all names synonymous with the legendary figure. As for his birthplace, the Geste places this in Holderness, East Riding of Yorkshire/Humberside. Some suggest he was the son of William de Faucumberg of Catfoss manor in Holderness. Local tradition at Hathersage in Derbyshire says that Little John retired and was buried here in the churchyard. No other place has claimed this, although the same could not be said for his commander. Eliza Ashmole writing in the late 1600's first recorded that Little John's bow hung in the church chancel and that he was buried at Hathersage with a stone set at each end with a large distance between. In 1784 the local church vicar, Charles Spencer-Stanhope (d.1874) wrote that the squires brother, William Shuttleworth hung a thigh bone, reputedly from Little John's grave in his room. However as it was thought to be bringing poor fortune to its owner, it was ordered to be reburied by his clerk. But the clerk kept the labelled bone in his window as a curio. When the father of Charles Spencer-Stanhope (Walter Spencer-Stanhope of Cannon Hall and Horsforth Hall 1749-1821) and Sir George Strickland were visiting Hathersage, Strickland* is reported to have "run away with it" and it has never been recovered. It was William or James Shuttleworth who in 1784 had the grave body exhumed, the thigh bone was measured at 291/2 inches by the woodsman Mr. Hinchcliffe. By Robert Ashton’s will, dated 24 August, 1683, his estate was bequeathed to his five sons and one daughter, each receiving a specified legacy. 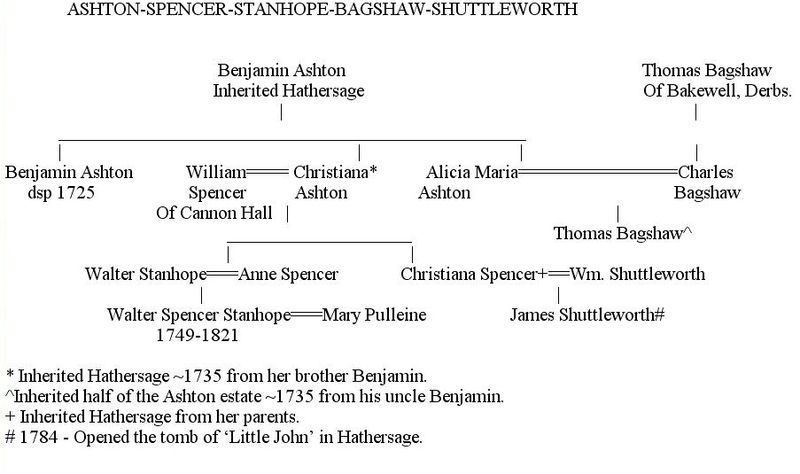 Benjamin Ashton, the third son, inherited the estate of Hathersage. He left one son Benjamin and two daughters, Christiana and Alicia Maria, the latter of whom married Charles, son and heir of Thomas Bagshaw of Bakewell. The grave was reported to be two stones 13 feet apart which were erected by the Ancient Order of Foresters in 1929. 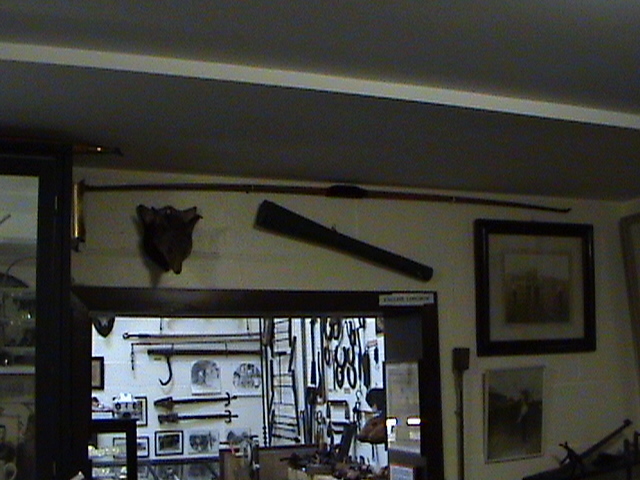 The reputed bow of Little John hung on the walls of Hathersage church until 1729. From here it was taken by the Spencer-Stanhope family caput, Cannon Hall in Cawthorne. Here it remained until the early 1950's. The bow was hung below the minstrel gallery in the Cannon Hall ballroom [built 1891]. The bow that was personally observed in the early 1950's hanging in the ballroom was more like a recurved heavy, thick bow, one end broken and with the other end tipped with a horn. It looked nothing like the bow shown in the photograph [below] taken in the grounds of Cannon Hall during the inter-war period,. 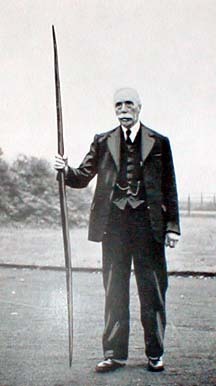 This purportedly shows 'Little John's bow', a six foot long, thin, tapering weapon, held by an archaeologist, H.C. Haldane of Clarke, Hall near Wakefield. The bow in this photograph above looks similar to the one housed in the Cawthorne Museum today. The bow could now be scientifically dated if a portion were to be sacrificed for carbon-dating. The Stone of Scone was removed from Scotland by Edward I and has been returned. Will the bow of Little John be returned to the people of England?! Recent research has shown that the man who inspired the author of the Geste to include the character 'Little John' was not necessarily named in the ballad from his height or lack of it. The author of the Geste has been far more cryptic than this. In fact if we look at the Geste as a cryptic political song rather than a 'ballad' it would serve us well. 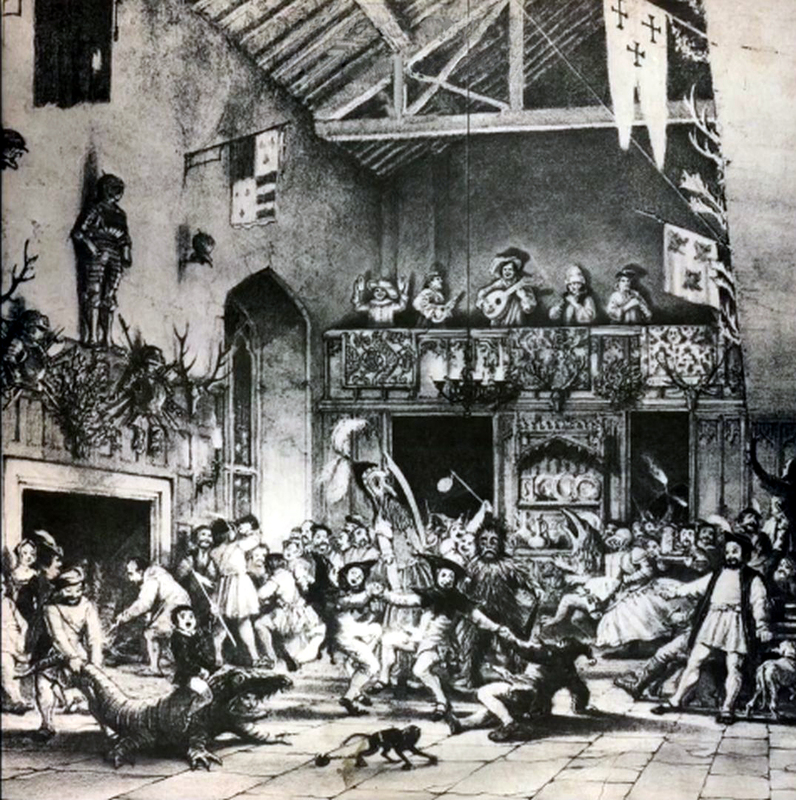 In the case of Hathersage, speculation based upon a folk-tale has become a factoid. However, I have found that the man who was immortalised as 'Little John' was a forester whilst there is a link to Hathersage and another 'merry man' who has yet to be announced. 1. J.W. Walker, Y.A.J., vol. 36, (1944), pp. 44-45. * Charles Spencer-Stanhopes younger brother Phillip married Mary Harrison in 1861, she had previously been married to Edward Strickland, Sir Georges son. Copyright © Tim Midgley 2000, revised 23rd April 2018.